My husband realized the true extent of my online confessions. I’m so glad I post disclaimers lol. I don’t keep a keep a typical journal, and whenever I blog, I like to envision the fashion as stories, so most of my posts reveal my moods. Although, not today. I snapped these shots last week. I was totally on the edge, so my hubby was a combination of weary agitation. Sascha’s Designs Wildrose is a recent release. I think you’ll find the gloves are a fun touch because you change the position of the hands with a HUD. Oh, even when I act out, it’s usually my way of keeping my hubby close. Mind you. His vehicle is safe. Want your own version of Wildrose? 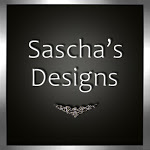 Click Sascha’s Designs for your taxi. You can also find Wildrose in MP.